For all intents and purposes, no sane adult would damage his/her charging micro USB port or cable. Unfortunately, it is bound to happen. You will see later in the post, I have had several damaged cables and a few faulty ports in the past. 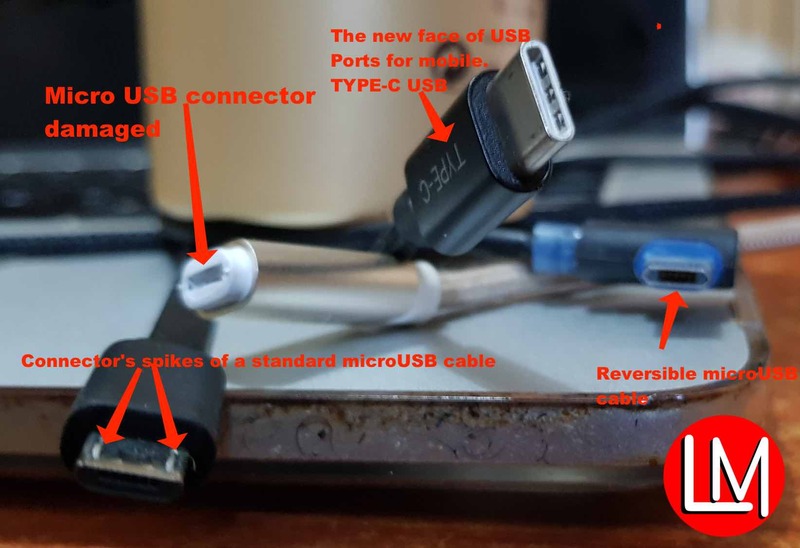 The purpose of today article is to enlighten you on how to prevent damages(especially accidental) happening to your micro USB port and cable. We are talking about how to repair faulty micro USB port/cable. Inevitably, even with the most careful use of a phone, with time or by accident, the micro USB connector of your cable can be damaged by dust, contamination (like calcium, road salt), or simply get “stretched” to the point it will not stay in place anymore. Also, the port/jack itself may be at the receiving end. Most of the time this will go unnoticed until it begins to cause significant problems. Case in point: one day you can wake up I woke to discover your phone hadn’t charged overnight despite the fact that you plugged it into its cable. This can be due to the not being plugged in as far as it used to. Even when you have plugged it in properly, the slightest movement of the Phone would cause the cable to come a bit lose. By extension, this will lead to the not-charging problem. As been discussed above, it is inevitable not to lose your micro USB cable to wear and tear over time. However, if you are the type that buys a new cable every couple of weeks or your phone is having a charging problem, then this is for you. Micro USB is a miniaturized version of the Universal Serial Bus (USB) interface developed for connecting compact and mobile devices such as smartphones, MP3 players, GPS devices, photo printers and digital cameras. Normally, your phone’s USB port should have the same lifespan as your phone. However, due to ignorance, you may start having problems with it. As for your Micro USB charging cable, you need to take very good care of them if you want them to serve you for long. To do this, follow our maintenance guide in the section below. Clean your charging port/socket every once in a while. Don’t wait until problems start before you clean this. Read my pictorial guide on how to do this later in this post. Also, don’t allow your phone’s port to gather dust as it can cause some dirt in there that forces the cable connector latches to bend. Secondly, buy more than one cable at a time. this is very important as it will extend the life of the original cable and afford room for adequate troubleshooting. Don’t use extreme force to plug in your cable to your phone’s socket. Check if you are plugging it the right way instead. While your phone is charging, avoid moving it around or stretching the cable. Similarly, don’t allow it to fall off at a distance that can have an impact on the cable. Also, don’t sleep over your phone while it is charging. This will cause the connector to bend. Your kids should be tutored on how to properly charge a phone. Otherwise, don’t ask them to go and charge your phone for you. Be mindful of where you place your phone while it charges. Avoid placing it at the edge of a table. Vibration can cause a phone to move. If your phone is in vibration, please place the phone in an enclosure or on the floor while charging it. Interestingly, while it is good to buy an use a sturdy cable. Please don’t buy a cable that is too big, strong and rigid. Go for the strong and flexible instead. The world is switching over to USB TYPE-C. If you have the money, go and buy a hone with a type-c charging connector. E.g, galaxy s8, s9, and the likes. If you are a factory worker or you are constantly exposed to dust or dirt, please buy a phone case that has flaps that can cover every port on your phone. Reversible micro USB cables are also another great preventive measure. They cost just a few bucks. Inductive wireless chargers can relieve the stress of your micro USB cable. If your phone supports one, make use of it. Finally, get a quality aftermarket cable from stores like amazon, ebay and the likes. Make sure you go for the braided ones and don’t choose one with a very long connector. MicroUSB plugs are actually fairly fragile – far more fragile than the old MiniUSB ones were. Also not as convenient and consistent as the new type-c connectors. Before we proceed with how to repair faulty micro USB port/cable, Lets us talk more about the symptoms and causes of charging problems in micro USB. One of the major reasons that MicroUSB replaced MiniUSB was that for MiniUSB the sockets used to wear out (i.e. the one on your phone!) rather than the plug. MicroUSB moved all the fragile parts across to the plug so that *when* things wore out, it would be the cheap cable that would need replacing rather than the expensive phone. This is sub-divided into two categories. 1. the problem with your micro USB charging cable connector or 2. Your phone’s charging port/jack/socket. Luckily, only in extreme case does the charging ports actually gets spoilt before the cable. 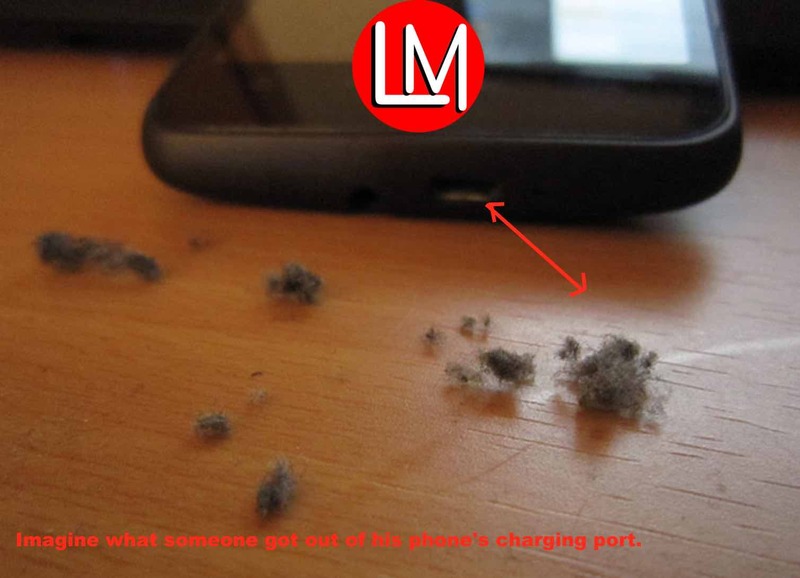 However, your phone charging port can accumulate dirt/lint easily. Also, your charging cable may go bad due to overuse or breakage. It is possible that your phone’s charging port is full of dirt and it needs cleaning. Finally, your cable may be too old and the looseness is as a result of wear. Have it in mind that the metal body of your micro USB charging port might also be the culprit. On the other hand, if your cable is new and firm but your phone is not charging at all, please check your adapter, use another cable and if all that fail, take your phone to a technician. Your charging port might be damaged. If your phone will only charge when you wrap a rubber band around it, or it charges at a very certain angle, then you have either a bad charging cable or a failing charging port. Alas!! your phone self-connects or charges itself even when no cable is plugged in, then you have a looped micro USB charging port. You may be lucky if you clean it thoroughly, otherwise, take your phone to a technician.